Parkview Community Hospital needed additional capital to finance an expansion of its emergency department (ED), which was undersized and overutilized. However, financing options were limited because its existing HUD-insured loan could not be refinanced until 2021. SMF secured a $30,112,000 Supplemental Loan under the Section 242/241 program to finance the ED expansion. The loan covered 100% of the Project’s costs. SMF obtained approval from the HUD Office of Hospital Facilities in Washington, DC in approximately 120 days. We also obtained HUD approval to jump-start the construction process before closing. This is the second HUD-insured financing SMF has closed for Parkview. The first, in 2011, refinanced their short-term, high interest rate bridge loan that the hospital used to stave off a predatory lender. The 2011 HUD-insured loan was the first-ever loan closed under their Section 242/223(f) program. 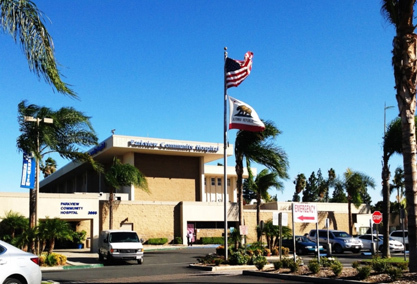 Parkview Community Hospital is a 193-bed not-for-profit community-based hospital in Riverside, California serving mostly low-and-moderate income households. Its emergency department was undersized and overutilized, which led to a loss of admissions. Because its existing HUD-insured loan could not be prepaid until 2021, Parkview’s options to finance the expansion were limited. It looked to SMF to provide a capital solution that would maximize loan proceeds and not affect its primary debt. SMF secured a second HUD-insured loan for $30,112,000 under the Section 242/241 Supplemental Loan program for the ED expansion. By including an appraisal of the hospital with the mortgage insurance application, SMF demonstrated that the combined primary and proposed debt would be less than 90% of hospital’s value. As a result, the Supplemental Loan was for 100% of the Project costs, which will help Parkview’s liquidity during the construction period. Moreover, by carefully aligning Parkview’s prepaid project costs into the loan application, SMF helped Parkview maximize its reimbursement at closing, further enhancing its liquidity. SMF obtained approval from the HUD Office of Hospital Facilities (OHF) in Washington, DC in approximately 120 days. We also obtained approval to jump-start the construction staging process before closing by coordinating among HUD, Parkview, and its Construction Manager a Pre-Commitment Services Agreement. This helped the hospital and CM prepare in advance for the State construction review process post-closing. This is the second HUD-insured financing SMF has closed for Parkview. We closed the first-ever refinancing under the HUD Section 242/223(f) program for Parkview in April 2011; that financing replaced 18% short-term bridge debt with a 20-year insured loan. The Section 242/241 Supplemental Loan builds upon the initial successful financing with HUD and provides affordable capital to enable Parkview to continue to serve the Riverside community. For more information, please contact Anthony Luzzi at aluzzi@nullsimsmortgage.com.